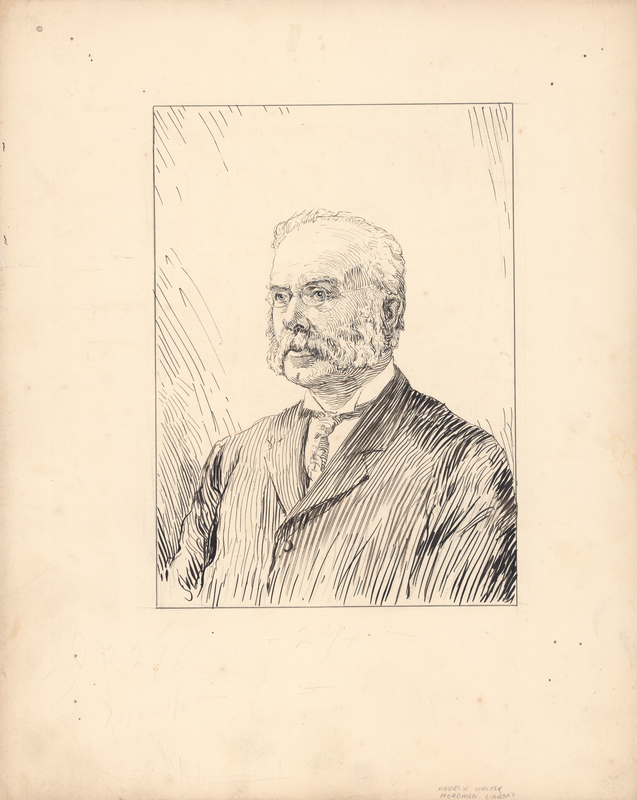 Item is an original Arthur Lismer pen and ink portrait of Andrew Walker Herdman Lindsay, commissioned for One hundred years of Dalhousie, 1818–1918 (1920). The drawing has faint pencil notes on the bottom border. On the reverse is an unfinished portrait of Rev. John Forrest.